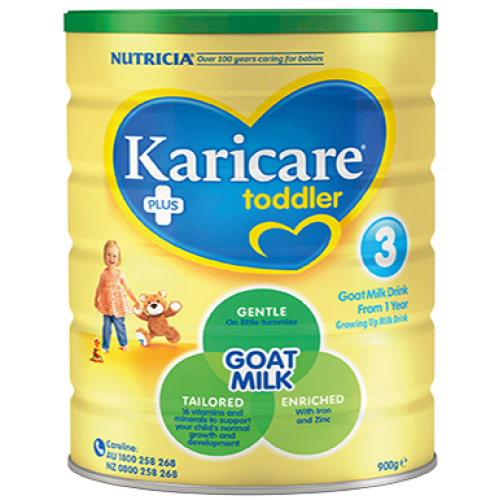 Karicare+ Toddler Goats’ Milk supplement is a delicious milk drink for toddlers one year and older, providing key nutrients for toddlers when nutritional intake is inadequate. Goats’ milk toddler supplements are a safe alternative to cows’ milk-based toddler supplements for toddlers experiencing difficulties with a cows’ milk-based supplement, or for parents who would prefer to use a goats’ milk supplement. Children Toothbrush setJack N Jill Flavor Free Toothpaste with Silicone Finger Brush..